Magisculpt Black Bodysculpting BikiniTop is rated 4.0 out of 5 by 1. 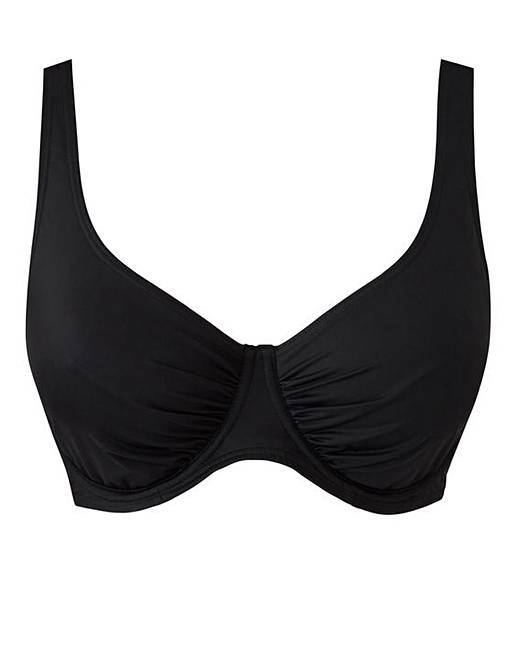 Underwired bikini top designed to give ultimate support. This bikini top offers firm control around the back. Adjustable straps and a bra back-clasp fastening for extra comfort. Rated 4 out of 5 by Big busted gal from Great fit Bought this bikini top to mix and match different bottom and I am very pleased with it. Good fit, and throughly recommend.